APPLY FOR SUMMER 2019 TODAY! Get your associate’s degree in one of our prestigious programs before transferring to a four-year college or entering the workforce. Take the exciting step to start or continue your program by registering for classes now. 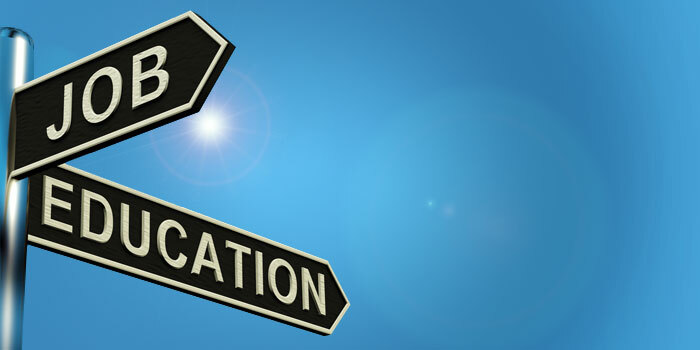 Find out how we can help you achieve your educational and career goals. 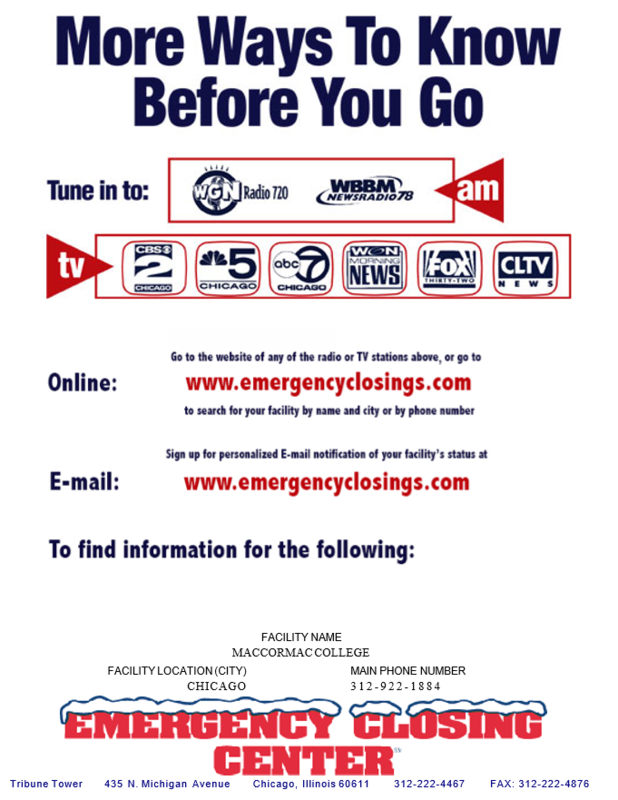 Chicago Tonight, a PBS television show, aired a segment highlighting the very high demand for court reporters nation wide! MacCormac College staff and students volunteered at the 2018 Chicago Marathon and cheered on our fellow MC family member, Abe Martinez, and he participated in the race! On October 4, 2018, the MacCormac College family came together to celebrate our annual Awards Ceremony. We honored students of all programs (Criminal Justice, Court Reporting, Paralegal Studies, Business Administration, and Online Business Administration) on their academic accomplishments. MacCormac College is seeking comments from the public about the college in preparation for its periodic evaluation by the Higher Learning Commission (HLC). During the NCRA 2018 Convention, Dr. Marnelle Alexis (Chancellor), Matthew Gawenda (Interim President), Selana Scott (Court Reporting Program Director) and Court Petros (Current Court Reporting Student) attended the event as representatives for our school in New Orleans, LA. After graduating from MacCormac, our alums can transfer conveniently and successfully to numerous undergraduate college. Additionally, over the past 5 years MacCormac has celebrated the fact that our placement rate has been above a 95%! Hello my name is Alice Bishop, I had been working at a dead end job as a supervisor for security officers for a long time. One day, I had an epiphany and decided to go back to school after being out of school for thirty two years. Through the research of my brother, I found MacCormac College. I loved my time at MacCormac! MC's small size is its best asset as professors can get to know their students personally MacCormac is like a family. Whenever I come through the doors, I am always greeted warmly and I always enter and leave with a smile. Studying at MacCormac was a very supportive experience and everyone was very helpful. My classmates and I had a lot of fun studying together; we learnt a lot and were a very bonded group. My driving force to succeed was my daughter. At the time I attended MacCormac, my daughter was just a few months old. I wanted to provide her with a better life and be a role model for her. Established in 1904, MacCormac College is proud to be the oldest fully accredited, two-year, private, not-for-profit institution in Illinois. MacCormac College is committed to positioning its students and graduates for success. We offer small class sizes that provide students with more one-on-one time with instructors. We also provide practical, hands-on learning designed to help graduates transition into the workforce or transfer to a four-year institution to continue their education. Whether you are interested in pursuing a career in court reporting, criminal justice, paralegal studies, business administration or online business, earning your associate degree from MacCormac College in Chicago is a smart move. Our diverse student body enjoys skills-based courses, flexible class schedules, affordable tuition and strong ties to the industries we serve. Court Reporting: MacCormac College has one of the best court reporting programs in Chicago — and in the nation. Our court reporting program is nationally recognized, National Court Reporters Association (NCRA) certified, and accredited by the Higher Learning Commission. Both aspiring court reporters and working court reporters can benefit from our flexible court reporting programs. Criminal Justice: At MacCormac College, our criminal justice students receive a well-rounded, practical education covering the U.S. justice system, crime and the law. With a number of exciting career opportunities available, it’s no wonder that the number of prospective students exploring criminal justice programs in Chicago through MacCormac College continues to grow. Paralegal Studies: There are several options for people considering paralegal studies programs in Chicago. However, we believe MacCormac College stands apart from the competition. With a long history of success, our paralegal studies program is approved by the American Bar Association (ABA). Business Administration: Students in MacCormac College’s business administration degree program benefit from a comprehensive education designed to launch exciting careers in global business roles or to pursue four-year degrees. Our graduates work in and around Chicago and across the globe in a variety of disciplines including human resources, marketing and business management. Students who want more flexibility in pursuing their business administration degree may also be interested in our online business administration program. We know that career success is built on more than just knowing how to perform certain tasks. That’s why, in addition to learning job-specific skills, MacCormac graduates develop competencies in critical thinking, communication and interpersonal skills. Because of our reputation for excellence in education, MacCormac College boasts higher job placement rates than competitors. Employers know that our graduates come prepared with the knowledge and skills they need to succeed. Students who want to further their training can also benefit from the articulation agreements MacCormac College has in place with most nearby four-year degree programs. Ready to learn more? Apply now for admission into one of these exciting degree programs!